If you remember I posted a survey recently asking for your opinions on the proposed Patreon campaign format changes. If you missed the post, you can check it out here. I also posted a survey on Patreon asking for patrons' feedback to gauge whether or not they think we should make the changes. 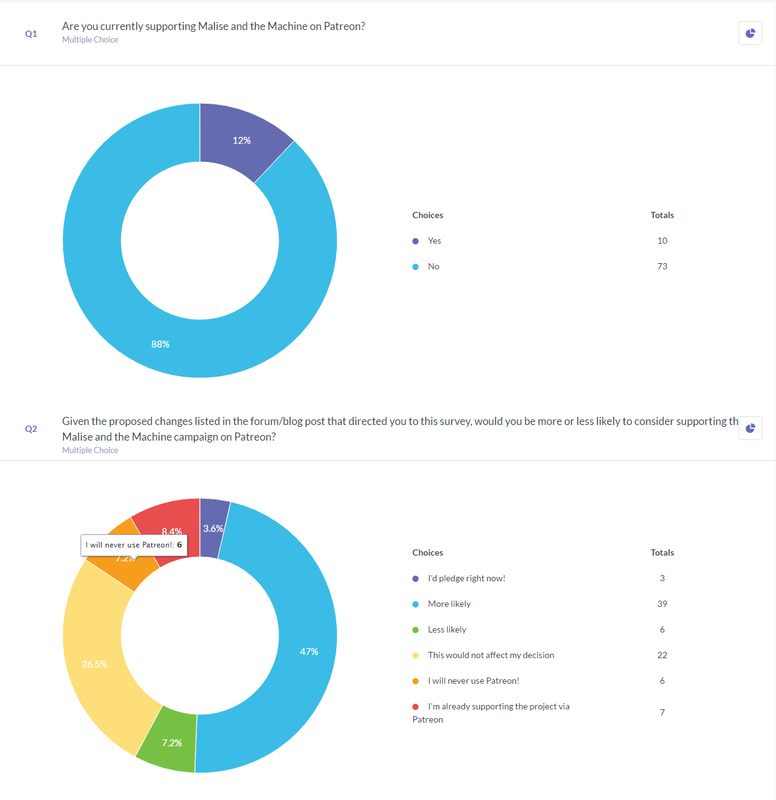 The patron survey results speak for themselves, with nearly 90% of those that responded recommending we change our campaign format to monthly (with the reduced pledge tier costs) + add the charge up front feature. The non patron survey results take a bit more analyzing. 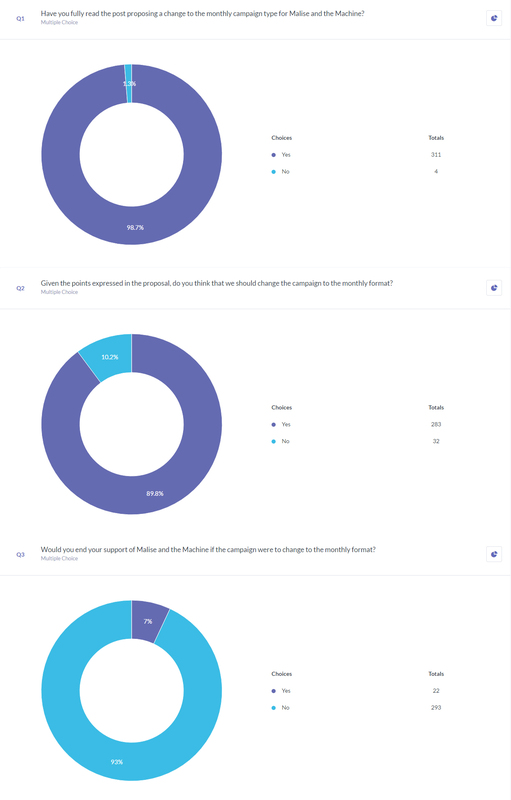 Basically, approximately half of the non patrons that responded said they would be more likely to pledge to the campaign if it was in the monthly format with the reduced pledge costs. Though the sample size is small, it's a very promising result since very few answered that they were less likely to pledge due to the proposed changes. What this says is that for every 20 non patrons that check out the project, approximately 10 will be more likely to pledge because of these changes, and approximately only 1 will be less likely. As it stands and due to the highly positive feedback, we've decided that we will be making the proposed changes starting sometime after the V0.05 release. 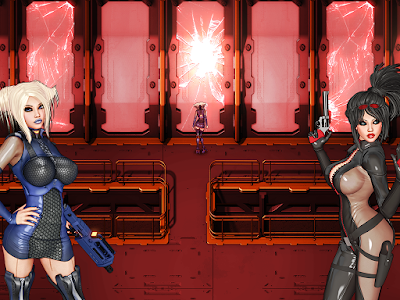 This means that starting sometime after the V0.05 release all pledge tier costs will be significantly reduced and we will be moving to the monthly payment format. These changes will, we feel, not only benefit existing patrons in the long run, but will be especially beneficial for new patrons, as they will be able to retrieve their digital rewards instantly upon pledging. Thanks again for all the feedback guys! I cant support on patreon, as i dont own the right method/creditcards to put in : / Patreon doesnt have the payment method. They just started allowing Paypal again for NSFW projects if that helps :D!